In 1949 then Chief of Police Paul S. Schmidt and two patrolmen provided ambulance service and police protection on a full-time basis to a ten square mile area and five thousand residents. Since the inception of the District, Broadmoor was, and remains today, unincorporated county territory. The Sheriff’s Office, which traditionally provides police protection to an unincorporated area, is not responsible for law enforcement in Broadmoor. On January 6, 1964, at approximately 11:40 PM, the members of the Broadmoor Police Department mourned the loss of one of their fellow officers’. Officer Charles E. Manning became the first and only Broadmoor officer to die in the Line of Duty. Officer Manning was investigating a suspiciously parked vehicle at the New Mission Heating Company, 1111 Hillside Boulevard, when he apparently surprised a suspect who was in the process of stealing gasoline. The suspect, Timothy L. Silva, who once worked in the heating company as a janitor, fired six shots at Officer Manning (five in the back and one in the chest). Officer Manning was able to return fire, however he died at the scene. He was a Broadmoor resident and had been with the department for nine years. Broadmoor initiated the first active Reserve Officer Program in San Mateo County. In 1950, twenty-four male residents of the District volunteered for this program. The program was also augmented by a fifteen member women’s auxiliary who provided matron, crossing guard duties, and other services for the Department. When Chief Schmidt succeeded in recruiting the members for the reserve officer force, he and willing helpers staged a policeman’s ball to finance the purchase of uniforms. The ball raised $2,200, a considerable sum of money at that time. In the early years of the program, reserve officers often provided security at the Cow Palace which was then unincorporated county area though not in Broadmoor. Since opening in 1941, the Cow Palace has welcomed 50 million visitors through its doors. The Cow Palace is officially the 1-A District Agricultural Association, a State agency of the California Department of Food and Agriculture’s Division of Fairs and Expositions. When the fair’s huge livestock exposition proved to be one of its most popular attractions, local business leaders met and resolved to build a permanent structure to house a great animal livestock exposition in San Francisco. Such services as noted above were in addition to the reserve officer’s responsibilities as the “second man” in patrol cars during the evening shift. As a result of this program, many Broadmoor Reserve Officers found full time careers in law enforcement. Continuing with the same enthusiasm as in its earlier days, many reserve officers look forward to a long service with the Department. Currently, the full-time staff of ten members is augmented by approximately 30 part-time reserve officers. Unlike the past, these part-time officers now undergo similar state mandated training for full-time police officers as required by the State of California Commission on Peace Officers Standards and Training. In calendar year 2006, these officers donated over 10,000 hours of service to our community. The original headquarters of the Broadmoor Police Department was maintained in a remodeled basement of a two-story farm house located on 90th Street. The home belonged to then Police Commissioner Armando Ferraris. The second police station was in a construction shed located at 1546 Annie Street once used by the Stoneson Development Corporation; the same construction company responsible for building the homes in our community and the Stonestown Shopping Center in San Francisco. The building still stands today. Modification of the station on Eighty – Eighth Street Street occurred during 1960. The remodeled station provided office space for the Chief of Police, a Lieutenant, officers, dispatcher, and records personnel. Also, incorporated into the redesign were dark room facilities and a moderate size meeting room. In October of 2001, the modified house which served as our police station for nearly fifty years was raised to make way for a new development which incorporated the design of a new police facility into the project. Accordingly, during the next two years, a temporary facility located at 25 San Fernando Way in the City of Daly City served as the headquarters for the Department. In August of 2003, the members of the Department were able to move into their new state-of-the-art police station. Ironically, the Department was able to retain its former mailing address of 388 – Eighty – Eighth Street Street. This new 3,000 square foot facility nearly tripled the amount of useable space over the former police station. Several improvements to the new police station have already been made including, the addition of a keyless card access system, off-site security monitoring of the evidence room, and cameras for monitoring the premises. Planned operational upgrades include an automated records management system which is slated to be on-line by July 2005. 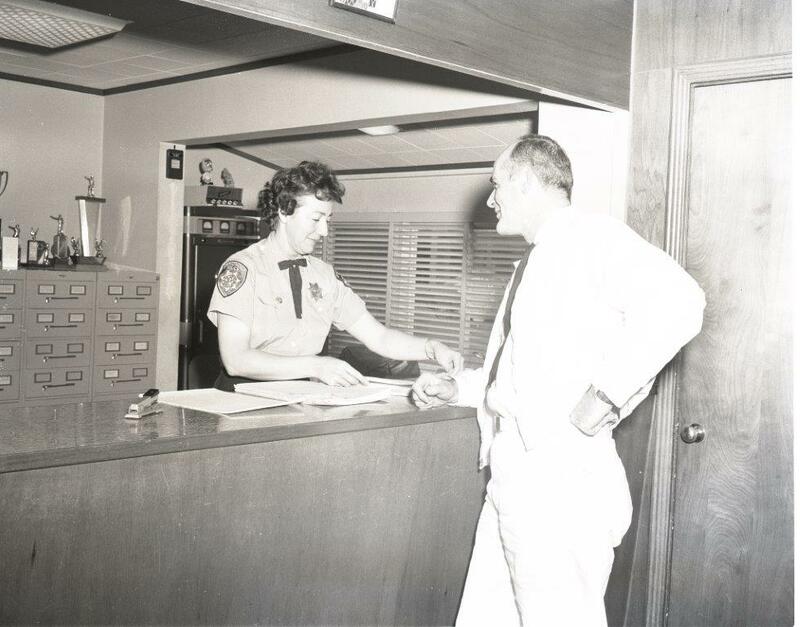 In 1957 Broadmoor contracted with the incorporated Town of Colma for ambulance service and radio dispatching. The contract was changed in 1964 to include partial police services. Broadmoor increased manpower from five to seven men to meet this new demand. Though ambulance service was discontinued in 1967, Broadmoor continued to provide daily police patrol service to Colma from 4 PM to 8 AM plus responsibility for all police investigations. 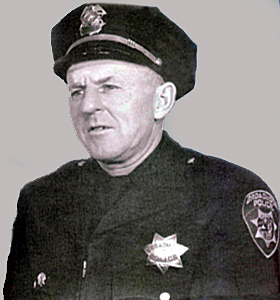 The contract ended in 1976 after Colma established a full-time police department. An assessment, self imposed by the citizens of Broadmoor, helps to compensate for diminished funds due in part to state Proposition 13 adopted in 1978 which imposed limits on property tax revenues, and to past illegal annexations by the City of Daly City. An unheard of pro ninety-three percent vote of Broadmoor’s working class citizenry to support an override tax is testimony to the quality of service provided by the Broadmoor Police Department. According to Warren Slocum the County Assessor-County Clerk-Recorder & Chief Elections Officer of San Mateo County, to his knowledge, Broadmoor’s police tax override won by the highest margin of any similar police measure in the history of the State of California. With the support of local residents, State, and local governments the Broadmoor Police Department looks forward to many years of continued public service. Today’s trends may be away from the small police department and the future will undoubtedly hold many changes and challenges; however, the Broadmoor Police Department will continue to be a progressive law enforcement agency dedicated to maintaining a high standard of service to its citizens.